RTÉ last year agreed to review the employment status of 106 contractors after an independent report. 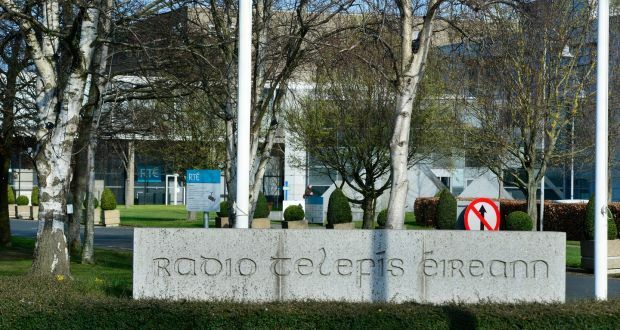 Talks with State broadcaster RTÉ in relation to the employment status of more than 100 of its contractors have been “tortuous and extremely difficult”, the National Union of Journalists has said. Séamus Dooley, the union’s general secretary, was giving evidence to the joint Oireachtas committee on employment affairs and social protection in relation to “bogus self employment” on Thursday. Bogus self-employment occurs when workers who should be classified as employees are marked as self-employed, which can lead to benefits for employers who otherwise would have to pay PRSI and sick pay. RTÉ last year agreed to review the employment status of 106 contractors after an independent report by law firm Eversheds Sutherland found that they have “attributes akin to employment”. Mr Dooley said he would be meeting with senior management at RTÉ on Friday in relation to the matter. He described the period since the review by Eversheds Sutherland as “tortuous and extremely difficult”. “I have spent more time in Montrose than any human being should be required to do,” he said, before criticising the culture of media “personalities” that are treated differently to other staff. “All broadcasting and media organisations have a fetish about personalities,” he said. “There is a perception that on-screen talent should be treated differently. I reject that notion. It has a number of negative consequences. He also said the issue of bogus contracts is often linked to bogus redundancies in many companies. Irish Congress of Trade Unions (ICTU) general secretary Patricia King, also giving evidence to the committee, said the Exchequer was incurring “huge losses” every year from bogus self-employment, which she said amounted to “cheating”. Ms King said the State’s resources in tackling the issue were “deficient everywhere”, including at the Workplace Relations Commission where there are just 54 labour inspectors. “The resources are not there and the State is going to have to make a decision on that,” she said. “Why wouldn’t there be a development of a view that you can actually do this and nobody will deal with it? In terms of workers themselves, Ms King said there was a fear of speaking up if misclassified. “This word fear is quite strong,” she said. “If you’re a worker on a building site and you know you have been misclassified and you turn around to your employer and say I’m a worker. The answer you will likely get is that if you don’t like it go somewhere else. Ms King said ICTU was recommending that, at a minimum, workers with no tax record not be permitted to register as self-employed unless they satisfy strict criteria laid down in an agreed code of practice.